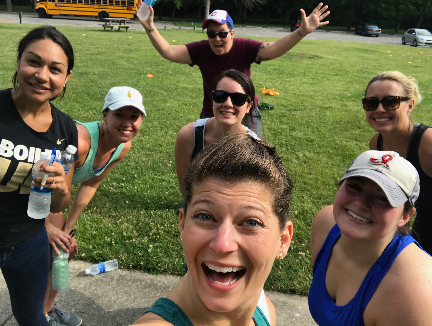 On Friday, June 30th, ten volunteers from PrincetonOne’s RPO team spent time supporting Camptown, a non-profit organization based in Indianapolis dedicated to enrich the lives of local youth from all backgrounds. The team spent the day fishing, canoeing, and hiking with 60 children from two neighborhood centers in underserved communities. The group provides support and volunteer power to this organization as part of our P1Cares initiatives and is an inspiring event for our entire organization. There are some fun photos from the day below. Great work, team! The great outdoors has the power to give perspective, clear the mind, inspire, and change lives. Many of us have had these types of valuable experiences with nature and, in all likelihood, most of us had that experience sometime during our youth. Camptown was formed as the need became obvious that many of our youth are not able to access the outdoors. We began partnering with schools, youth groups, community centers, churches, and other youth-serving organizations to provide them with this option when their students would likely not be able to afford it on their own. In 1991, Camptown served just 60 students. Camptown now serves more than 3,000 under-privileged young Hoosiers every year through outdoor adventure and nature programs that change lives.